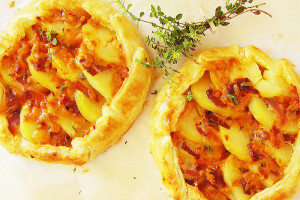 Two Rustic Potato and Thyme Galettes: Complete, rustic, frugal and comforting dish! 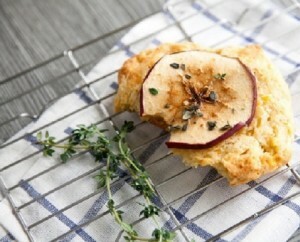 Delicate, homemade cheddar apple scones brushed with honey and sprinkled with fresh thyme. Perfect for brunch!